Case Studies | PickStar – How brands, agencies, schools and clubs are working with sports stars. PickStar connects you with sports stars, and manages the process from start to finish. We work FAST with ANY budget. Caltex used PickStar to book talent for 14 store launches across five states, with 25 more store openings scheduled for 2018. "PICKSTAR NAILED THE BRIEF! Thousands of social media interactions, plenty of happy fans! At short notice PickStar took a top-line brief and made our events genuinely connect with our customers, with the added bonus of extremely happy internal stakeholders," - Paul Pontello, Caltex. Marketing agency Leo Burnett used PickStar to book gold medalist Rugby Sevens star Charlotte Caslick for a viral video and social media campaign, encouraging young people to study Science, Technology, Engineering and Maths (STEM). The connection and campaign was highly successful, despite challenges that included an evolving creative brief and a short turnaround. 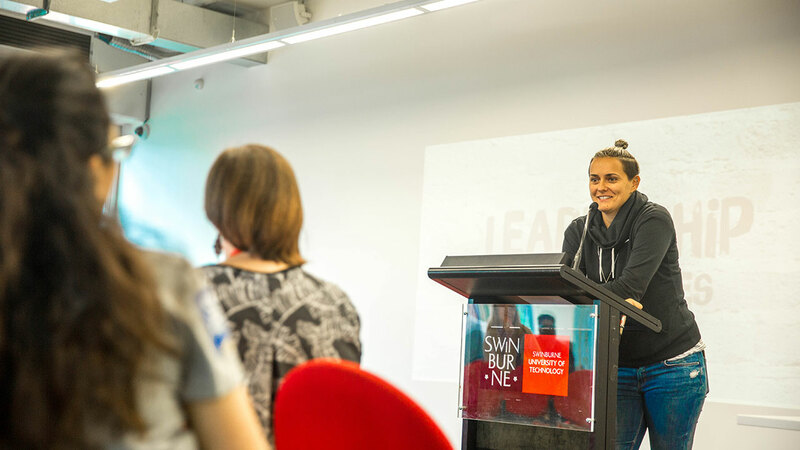 PickStar enabled the leading Australian university to choose from an extensive list of sports talent for a leadership event, and lock in AFLW star Moana Hope within just 24 hours. "I was very lucky to find PickStar!" 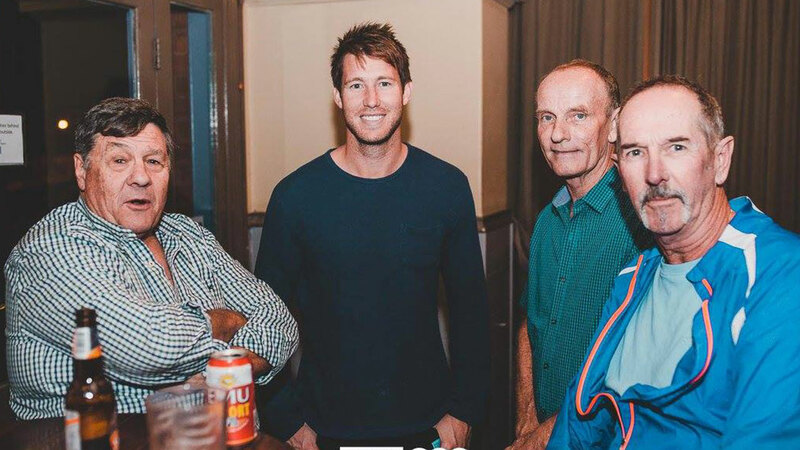 The Left Bank Bar and Restaurant in Fremantle, Western Australia, contacted PickStar wanting an AFL player to attend their venue every Friday night during footy season. PickStar provided advice, a talent schedule and managed athlete arrangements and the booking process. The unique campaign was highly effective and separated Left Bank from its competitors. PickStar works with Mumbrella on the media and events company’s Sports Marketing Summit. The conference features an "Ask an Athlete" panel discussion, where PickStar brings the sports stars to the event, moderates the discussion and uploads the interview as a podcast episode. Zach was celebrating his 10th birthday with family when he answered a knock at the door. 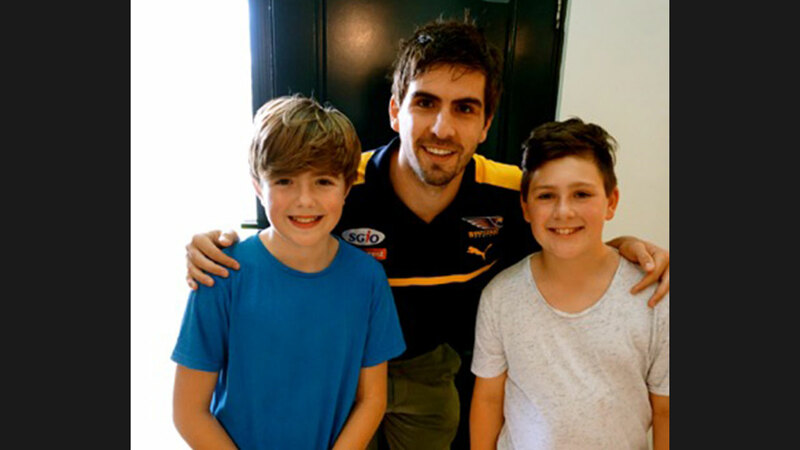 It was West Coast Eagles star Andrew Gaff, and the young AFL fan couldn't believe his eyes. PickStar facilitates numerous birthday party and fan experiences, not just for children but for older sports fans too! Life Care, an aged care centre in South Australia, used PickStar to book Australian basketball star Mitch Creek to entertain residents. Mitch hosted a modified basketball game for residents aged 70+. Organic and Raw used PickStar to connect with likeminded sports stars to promote a kombucha product among health conscious consumers on social media. PickStar took control of the entire campaign, using a limited monthly budget on athletes that included gold medallists, a pro surfer, AFL and rugby stars, but were most importantly a great fit for the brand. The engagement and branding benefits were outstanding. Real estate personality Glenn Twiddle hosted a series of high performance events nationally, using PickStar to book high profile talent across various states. PickStar handled the booking process and managed the complex sports star requirements. Mitchell Sports engaged PickStar to secure a group of past AFL champions as ambassadors for a new type of football. The ambassador offering included a video creative and a social media campaign. The client was ecstatic with return for budget, and the overall success of the company launch. 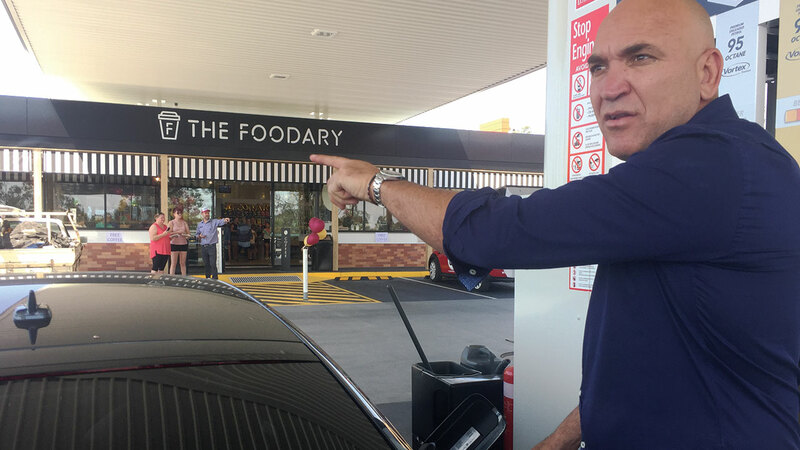 McDonald’s contacted PickStar aiming to bring a young AFL star to one of their local stores for McHappy Day, and we successfully connected the company with Western Bulldogs premiership player Josh Dunkley. Silk Laser Clinics contacted PickStar with the question; “Do any athletes have tattoos they want removed?” We put the question to our athlete network and, with a bit of luck, Port Adelaide star Kane Cornes wanted his premiership tattoo removed. PickStar facilitated the engagement and the campaign yielded outstanding results – major media coverage, social media engagement, numerous enquiries and ultimately, the clinic was booked out three months in advance! Supermarket giant Coles uses PickStar to book sports stars for the launch of new and refurbished stores in Australia. Through PickStar, the local government client was able to arrange for Australian Diamonds netball star Caitlin Bassett to inspire its volunteers at a workshop. Mazenod College used PickStar to engage two Olympians to inspire school students with a speech, presentation of awards and meet and greet. The netball association was looking for an elite netballer to be a guest speaker and awards presenter at the major end of season event. PickStar helped manage a complex booking where the talent changed due to an availability issue, and we also provided guidance on the package offered including flights and accommodation. Rolex wanted to give one of its top clients a VIP experience, and contacted PickStar to arrange a lunch with his favourite Rugby Union star. It was a truly unique opportunity for a high net worth individual. PickStar’s client wanted to create a birthday experience for her husband, an avid Fremantle Dockers fan. Through PickStar, she arranged for her husband to have a coffee with one of his favourite AFL footballers, Dockers star Stephen Hill. With a modest budget, Salesian College was amazed to be able to secure an AFL Brownlow Medallist and an A-League star to inspire and support young athlete’s at the school’s sports presentation event. 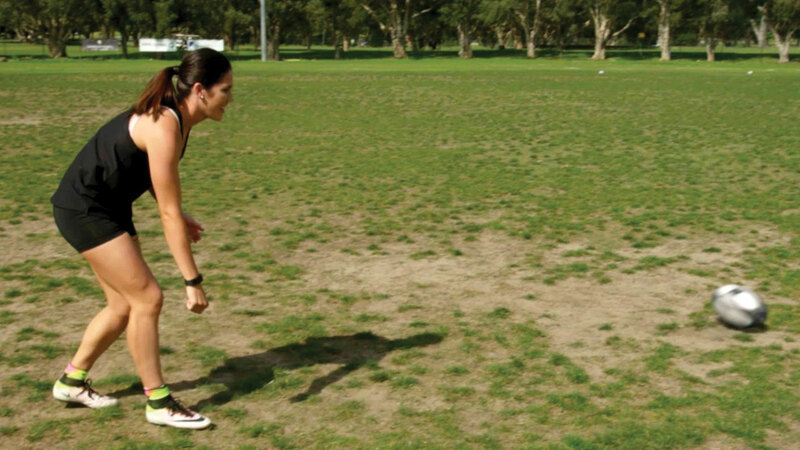 PickStar works with sports marketing agency Gemba on client campaigns where talent is required, including Santitarium Weetbix Kids TRYathlon, where elite athletes from a number of sports were placed at events around metropolitan and regional Australia. Australian Diamonds and NSW Swifts vice-captain Paige Hadley was booked by a local school to run a motivational skills clinic for young netballers. The session included a training session, Q and A and the opportunity to spend quality time with one of Australia’s top netballers. Ray White Real Estate used PickStar to book AFL legend and former Fremantle captain Matthew Pavlich to lead a leadership event for the company’s real estate agents. Got an opportunity of your own? Get started now.